What do you call chemical compounds that are comprised of isolated silica tetrahedron: that is, where the tetrahedrons do not share any corner oxygens with other tetrahedron, but rather are connected by cations in various configurations? 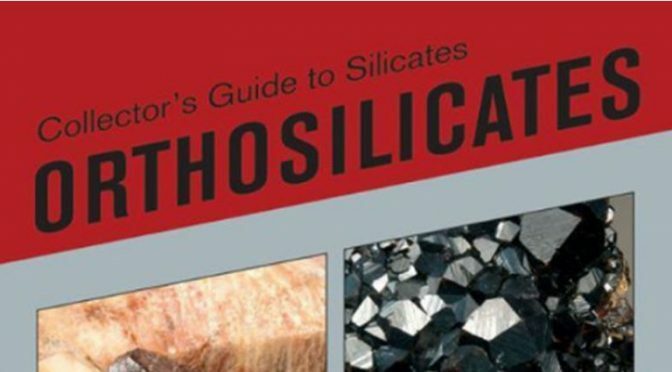 Why, orthosilicates, of course. Olivine, garnets, zircon, staurolite, and topaz are orthosilicates, to name a few. So is titanite, one of our favorite Bancroft, Ontario minerals. 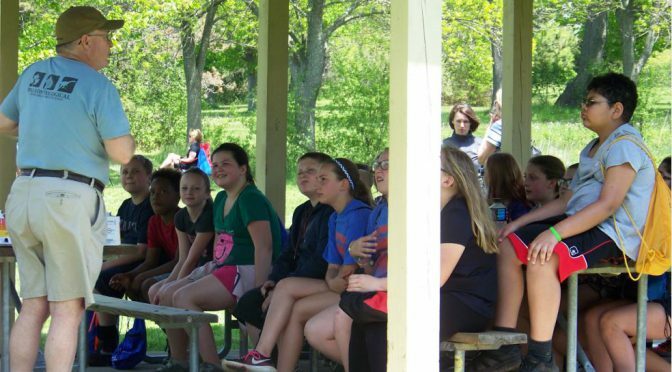 In late April, six members of Wayne County Gem and Mineral Club joined a Buffalo Geological Society fossil collecting trip to the Cincinnati area led by Jerry Bastedo. We visited several productive sites, but I thought I would direct this month’s site of the month to the southernmost collecting spot we visited. Most of the trip focused on quarries and roadcuts that expose Ordovician and Silurian strata in the Cincinnati Arch. 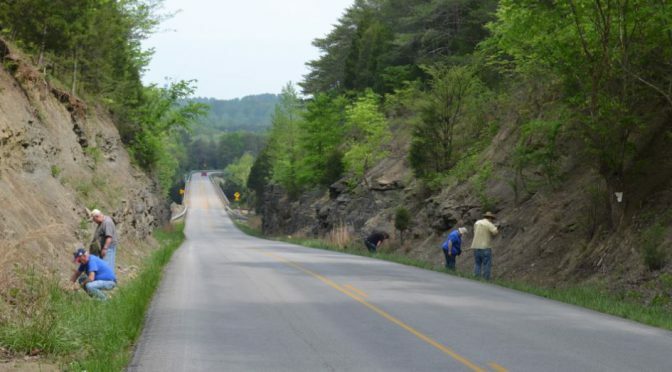 However, on Saturday, we climbed all the way up to the Mississippian by driving several hours south to a modest roadcut in Wax, Kentucky where we collected blastoids in the Glen Dean Formation. 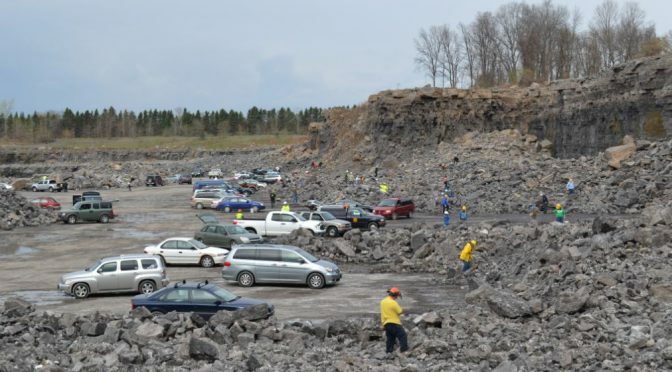 For one Saturday morning in May, The Dolomite Group opens its Penfield Quarry (746 Whalen Rd.) to collectors. This year that Saturday was May 6th. They asked that folks arrive before 7:00 AM to sign in, receive an official welcome, and attend a brief safety meeting. Immediately after, everyone descended to a level in the quarry that has been set aside for collecting (see photo on page 1). Hard hats (or bicycle helmets for kids) are required as is eye protection. No open toed shoes/sandals are allowed. The collecting period was from 7 AM until noon.